Find out more about our products, prices and shipping. 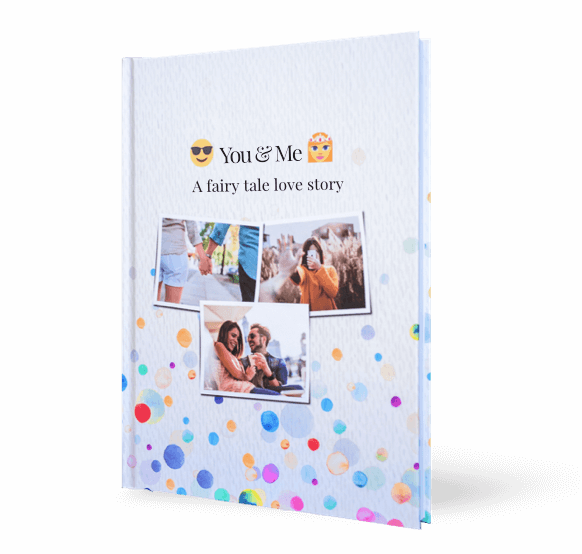 Totally customised: Individual cover, personal dedication, many fonts and backgrounds etc. 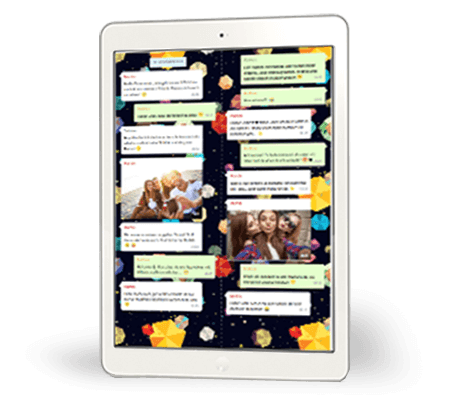 Only zapptales makes it possible to print your voice messages and videos – as well as texts, pictures and emojis, of course – into your book! We simply transform them into QR Codes and you can then scan and replay them whenever you like. That way, you can put your entire story into your book. The price of your book depends on the binding and the number of pages – so it depends on how long your chat is. The first 150 pages are included in the price. Every additional 50 pages cost an additional 4€. 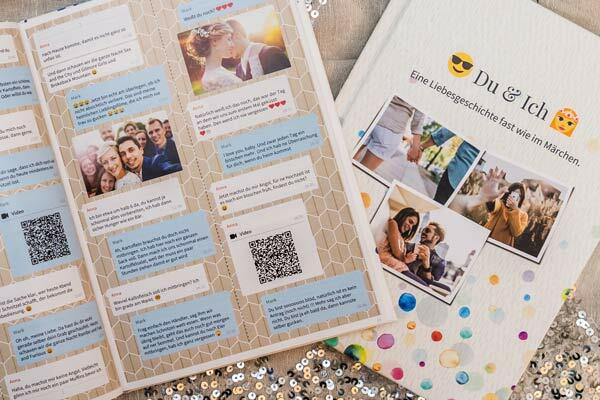 You can also choose to include your voice and audio messages in your book as QR codes for an extra 4.90€. With this flexible price model you only pay as much as you need. You can always check the final price of your book in the chat edition page, after uploading your chat and selecting your time interval. You only pay once you order your book. The price of your book depends on the binding and the number of pages. The first 150 pages are included in the price. Every additional 50 pages cost an additional 4€. You can also choose to include your voice and audio messages in your book as QR codes for an extra 4.90€. You can always check the final price of your book in the chat edition page, after uploading your chat and selecting your time interval. Prices incl. VAT, shipping costs may apply. 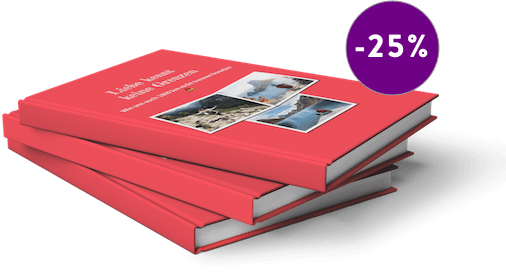 Share memories and save 25%! This is why at zapptales you receive a 25% discount for every additional copy! 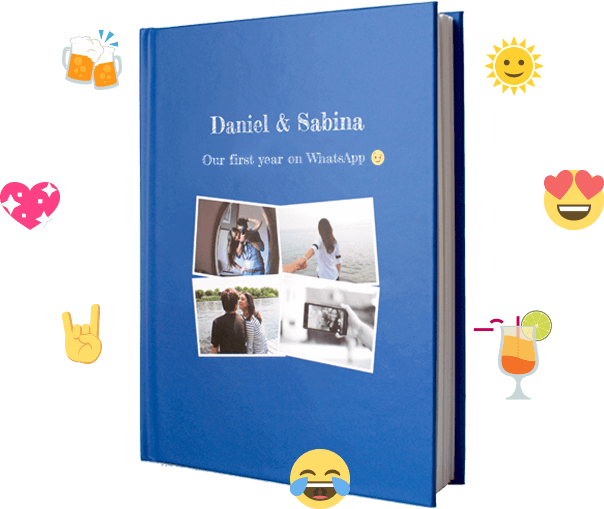 This is perfect if you want to keep a zapptales chat book for yourself, you have a very big WhatsApp group or simply a very big family and all want to have their copy. We ship your zapptales book to any country in the world with DHL World Premium and UPS Express Saver. You can check the status at any time with the tracking code provided in the shipment confirmation email. All international shipments include the costs for customs in the destination country and enjoy priority customs clearance. We encourage to contact our support for time sensitive orders, to find out the best shipping method. Visit our FAQs for more information about international shipping. 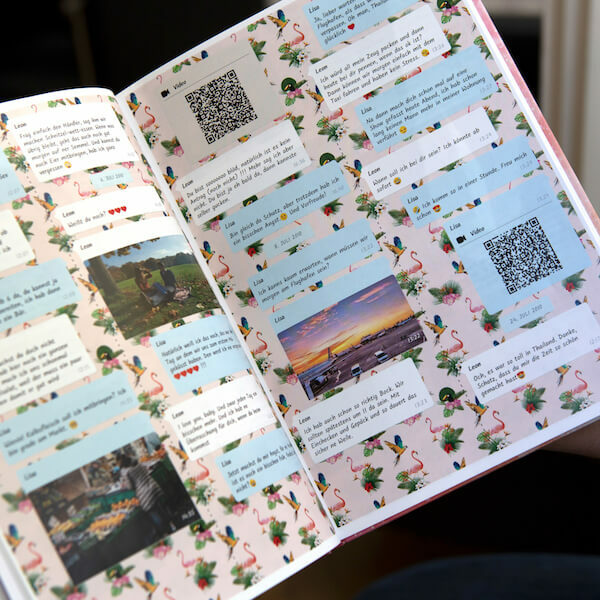 This is what a book of your Facebook Messenger chat could look like!